encore Deals! 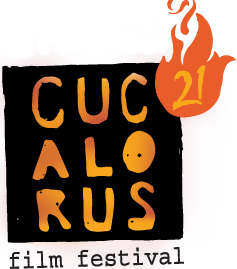 | Half Off Cucalorus Film Festival - Limited Number of Passes Available! Half Off Cucalorus Film Festival - Limited Number of Passes Available! More than 200 films and programs, on dance, music videos, emerging artists, social justice and works-in-progress, short films, and more! • Access to ALL screenings and special events without a ticket! Plus priority seating! Pass is required for entry to all events. Please arrive 30 minutes in advance for guaranteed seating. Passes are non-transferable and non-refundable. A $300 value! Pass must be presented to obtain passholder tickets. Please arrive 30 minutes in advance for guaranteed seating. Passes are non-transferable and non-refundable. Pass must be presented to obtain passholder tickets. Please arrive 30 minutes in advance for guaranteed seating. Passes are non-transferable and non-refundable. $30 discount from individual ticket prices. Jibasorus cardholder ID number and photo ID must be presented to obtain tickets. Please arrive 30 minutes in advance for guaranteed seating. Jibasorus ticket packages are non-refundable.